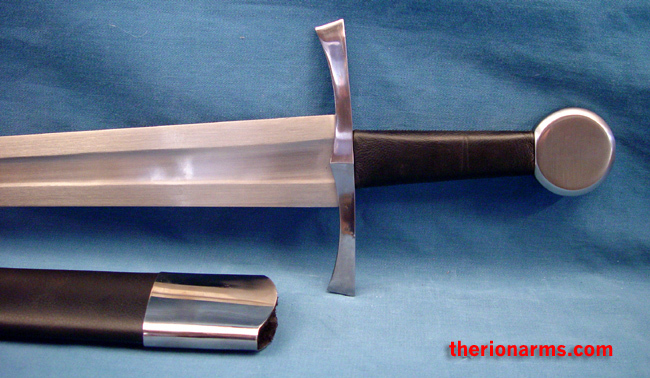 Blunt arming sword with an Oakeshott type XII blade, developed by Michael "Tinker" Pearce, produced by Paul Chen / Hanwei. The blade edges are .240" thick at the base, distally tapering to .085" thick at 2" from the tip. Distal taper of the blade is convex to flat. 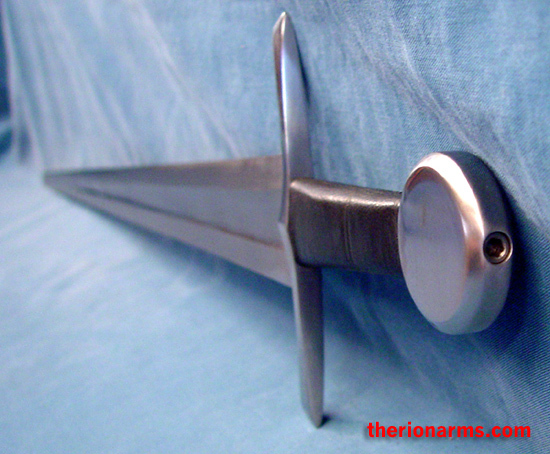 Point flex is comparable to about a medium-stiff fencing rapier. 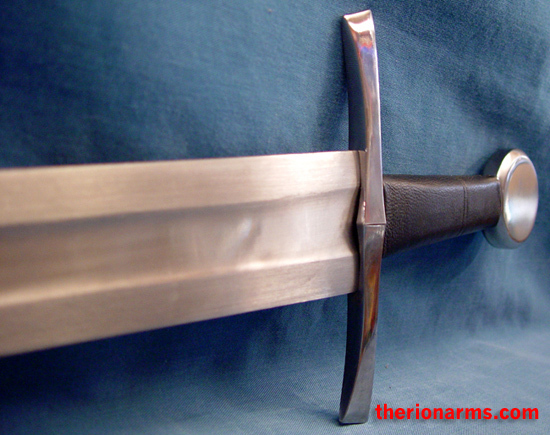 Hilt can be removed for maintenance or blade replacement using a 5mm allen wrench (included). 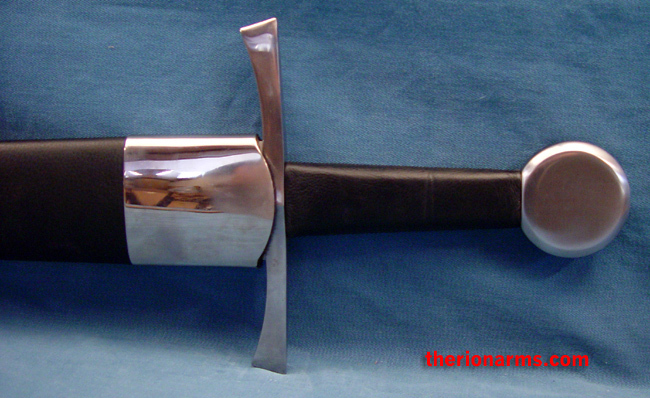 This blunt arming sword is a match for the Tinker Pearce arming sword - sharp - a great set for folks who want their sharps and blunts to match!